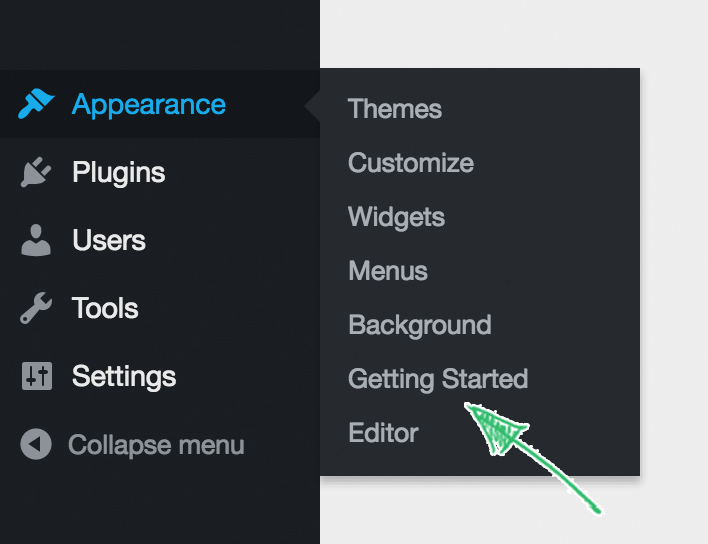 Every ThemePatio theme comes with a license key that allows you to install theme updates and get support. 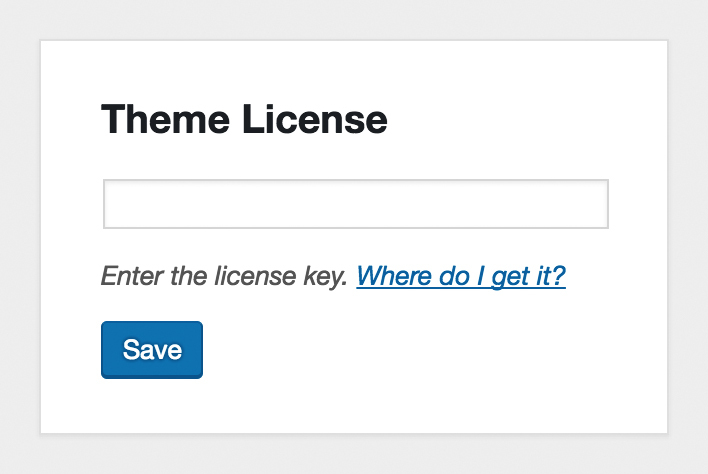 Once you install a theme, take a few seconds to activate your license key. 3. 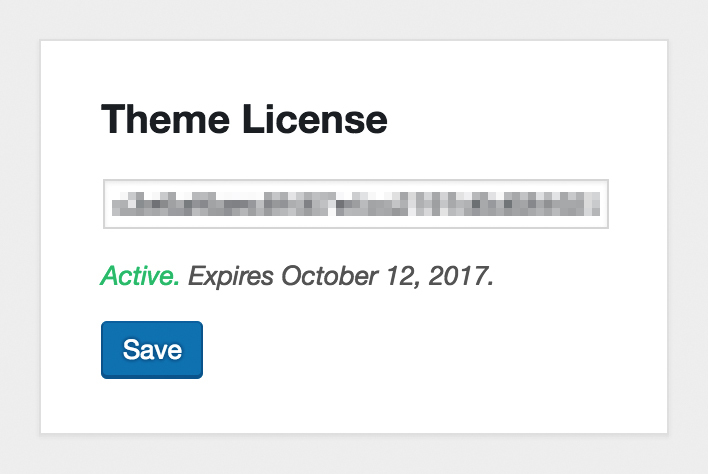 Once you save the key, you’ll see a message showing the status and the expiration date of your license. Previous Where Do I Find the License Key?